Increasing the visibility of women in the fields of science and thinking. This is the goal of the Wise Women conference series, organized by the CEIC Alfons el Vell and Campus Gandia of the Universitat Politècnica de València (UPV), with the support of the Ministry of Education, Research, Culture and Sport of the Generalitat Valenciana. The Gandia Smart Tourism Campus Chair, the Equality Department of the City of Gandia and the CEFIRE-Gandia also collaborate. The series is coordinated by the artist, cultural events curator and essayist, Rosa Mascarell Dauder, who will also moderate the conferences. The Middle Ages, the Renaissance, the Generation of ’27, women and science and the figure of Marie Curie are the topics that will be addressed in the conferences by renowned female scientists and authors of important works and dissemination activities. All the conferences will take place at the Casa de Cultura de Gandia at 7:00 p.m..
For his part, Luis Miret, director of the CEIC Alfons el Vell, has shown the commitment of the CEIC through the dissemination of science and thinking and by vindicating the contributions made by women to culture and technological and scientific development. PROGRAMMING – The entire conference series will take place in the Casa de Cultura de Gandia at 7:00 p.m.
Monday, December 3rd. “Images and Figures of Women’s Grievance (XV-XVII centuries)”, with Rosa Rius Gatel professor of Philosophy at the University of Barcelona and member of the Philosophy and Gender Seminar. Tuesday, December 4th. “Modern Wives Without Hats: The Women of ’27”. The conference will be presented by Maria Elizalde Frez., Doctor in Philosophy from the Autonomous University of Madrid, specialist in the thoughts and ideas of the generation of ’27. Wednesday December 12th. “Women are Science … or Are We?” Conference-debate by Isabel Pérez Arjona, professor at the UPV-Campus Gandia, researcher at the IGIC and member of the Equality Committee of Campus Gandia. Thursday, December 13th. “The Passion of Marie Curie”. Adela Muñoz Páez is the star of this dramatized conference where she will play the role of Marie Curie. 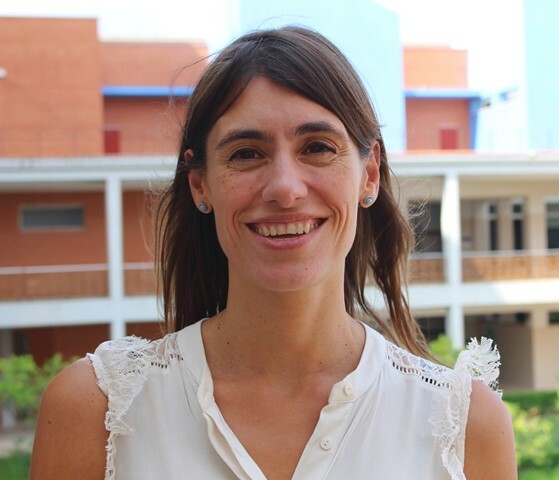 Adela Muñoz Páez is a full professor of Inorganic Chemistry at the University of Seville. In 2015 she received the Meridiana award from the Women’s Institute of the Junta de Andalucía. Friday, December 14th. “The Writer Isabel de Villena, a Medieval Influencer”, will be the subject of presented by Rosanna Cantavella, professor of Medieval Catalan Literature at the Universitat de València, a Life Member of Clare Hall, University of Cambridge, and corresponding member of the Royal Academy of Literature of Barcelona.